Bharti Airtel has launched a new Rs 248 prepaid plan for the first time/second-time prepaid recharge users. That said, the benefits of this new recharge plan is similar to what the Rs 229 prepaid plan that Airtel used to offer in the past. So Airtel basically hiked the price of Rs 229 First Recharge (FRC) plan to Rs 248. At the same time, the telco also removed some of the earlier FRC plans such as Rs 345 and Rs 559. Overall, Airtel is currently providing just four FRC plans priced at Rs 76, Rs 178, Rs 248 and Rs 495. As noted, the Rs 248 is a newly introduced plan which replaces the earlier Rs 229 prepaid plan for First Time recharge users. The newly launched plan comes with 28 days of validity and offers 1.4GB daily data, unlimited voice calling, and 100 SMSes per day. The newly launched Rs 76 prepaid plan from Bharti Airtel offers Rs 26 talk time and all the voice calls will be charged at 60 paise per minute. Furthermore, users will also get 100MB of 2G/3G/4G data valid for a period of 28 days. The second plan in the list of Airtel’s First Recharge plans is Rs 178 and it offers benefits of unlimited local, STD and roaming outgoing calls, 100 SMS per day and 1GB of 3G/4G data for a period of 28 days. This is the same plan Airtel is offering for existing users at a price of Rs 149, although as a segmented plan. The newly introduced FRC 248 plan for prepaid users ships with data benefit of 1.4GB per day, unlimited local & national roaming voice calling along with 100 SMSes per day for the validity period of 28 days. 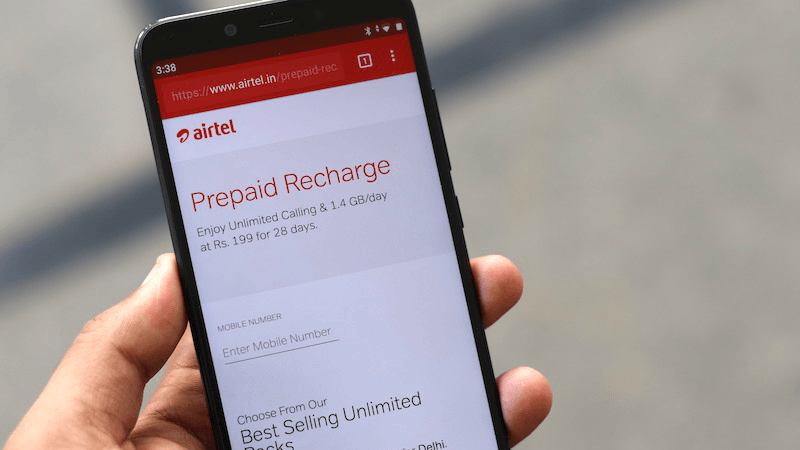 Airtel has launched the Rs 248 prepaid plan across the country. Lastly, we have the FRC 495 prepaid plan offering benefits for 84 days. It offers benefits similar to the Rs 248 prepaid plan such as 1.4GB data per day, unlimited voice calling and 100 daily SMS for 84 days. The data benefit can be availed as 2G or 3G or 4G. Airtel has some terms and conditions on these first recharge plans. The telco is offering voice calling only for normal usage and if the company finds a user misusing the unlimited voice calling benefit, then the benefits will be taken off from that particular mobile number. Another thing worth noting is that these prepaid plans can be availed only via My Airtel app or website, other than at the time of availing the SIM card. 178 is an year old plan,when I did the port from vodafone to airtel,I had the same plan but this plan gives only 1GB data for 28days..